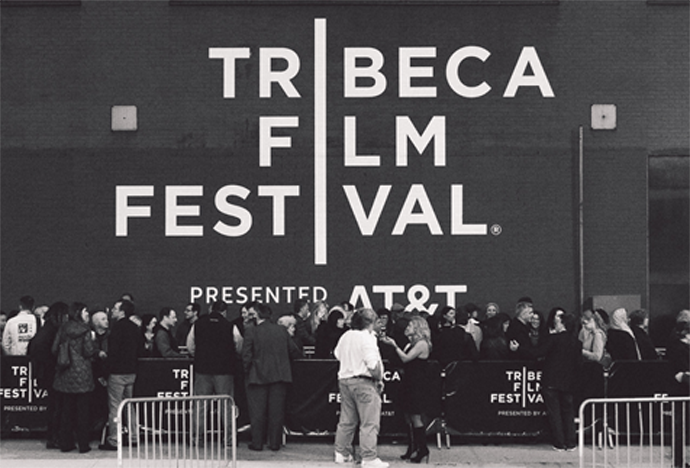 NEW YORK, NY– March 19, 2019 –The Tribeca Talks program will return to entertain and inspire audiences at the 18th annual Tribeca Film Festival, presented by AT&T, taking place April 24 - May 5. This year’s lineup will include intimate and once in a lifetime conversations with a diverse list of groundbreaking and critically acclaimed filmmakers, artists, entertainers, and icons. Tribeca Talks: Directors Series will feature some of the industry’s most renowned filmmakers who will share stories and highlights from their illustrious careers. Longtime filmmaking partners Martin Scorsese and Robert De Niro will come together for a conversation at the Beacon Theatre. From Mean Streets to their upcoming The Irishman, the duo will reflect on their decades-long working relationship. This year’s series will also include a conversation with Oscar-winning director Guillermo del Toro, and Oscar-nominated filmmaker David O. Russell will be joined by his frequent collaborator Jennifer Lawrence. Tribeca Talks: Storytellers spotlights pioneering creators working across multiple mediums. This accomplished group includes musician Questlove; comedian Sarah Silverman in conversation with Mike Birbiglia; actor and writer Rashida Jones; actors Michael J. Fox and Denis Leary will come together for a one-on-one conversation; and author and VR pioneer Jaron Lanier. There will also be a special Tribeca Talk featuring a conversation with Queen Latifah and Dee Rees about Queen’s extraordinary career followed by the premiere of the Queen Collective shorts. Tribeca Games Presents a conversation with legendary video game creator Hideo Kojima and actor Norman Reedus to discuss working together on the upcoming video game, Death Stranding. Tribeca Talks: Master Classes, a series of free events to engage with the film industry, will return with each class focusing on a different aspect of the filmmaking process, breaking down the intricacies and discussing them in-depth. This year’s series will offer an inside look at film producing with esteemed Oscar and Golden Globe winner Irwin Winkler. The series will also include a master class on The Art of Cinematic Sound presented by The DOLBY INSTITUTE and a class discussing the rise of New Online Work (N.O.W.) and the process of translating from the web to the screen. The Festival announced additional feature films as part of the Movies Plus section. The series gives audiences the opportunity to hear directly from the filmmakers and creators about their projects’ themes through lively panels, discussions, and performances following the screenings. The films include Luce, It Takes a Lunatic, Meeting Gorbachev, The Wrong Man, and Waldo on Weed, and more. Martin Scorsese is an Academy Award®-winning director and one of the most influential and celebrated filmmakers working today. He has directed some of the mostly highly-regarded, critically acclaimed films, including Taxi Driver, Goodfellas, Gangs of New York, The Departed, The Wolf of Wall Street and Silence. He will sit down with the Academy Award®-winning actor and frequent collaborator Robert De Niro, who he has directed in nine feature films, including his Academy Award®-winning performance as boxer Jake LaMotta in Raging Bull. Scorsese has directed documentaries including the Peabody Award-winning No Direction Home: Bob Dylan and the Emmy Award®-winning George Harrison: Living in the Material World. He was the executive producer on the HBO series, Boardwalk Empire, winning an Emmy Award® and DGA Award for directing the pilot episode. This legendary duo will come together at the Beacon Theatre to reflect upon their illustrious decades of collaboration from Mean Streets to their upcoming film, The Irishman. Among the most creative and visionary artists working today, Guillermo del Torowill discuss his prolific career turning horror, fairy tales, and the supernatural into world-class filmmaking. Del Toro earned widespread acclaim and multiple Academy Award® wins for 2006 fantasy drama, Pan’s Labyrinth. His 2018 film, The Shape of Water, won four Academy Awards® including Best Director and Best Picture. His other work includes beloved genre films such as Cronos, Mimic, The Devil’s Backbone, Hellboy, Pacific Rim, and Crimson Peak. In this conversation, the auteur will give audiences an exclusive look into his creative process. David O. Russell is an acclaimed Oscar®-nominated film writer, director, and producer known for his cinema of intense, tragi-comedic characters and worlds. Russell has earned immense acclaim and recognition throughout his career, most notably for his Academy Award® and Golden Globe® winning films The Fighter, Silver Linings Playbook, and American Hustle. Russell will be joined in conversation by Academy-Award® winning actor and frequent collaborator Jennifer Lawrence, who he has directed to three Golden Globe® wins and three of her four Oscar® nominations, including a Best Actress win for her role in Silver Linings Playbook. Thisiconic duo will come together for an extraordinary, one-on-one conversation covering their remarkable creative relationship. This series celebrates the illustrious careers of today’s most innovative creators, who have broken from traditional roles and pioneered their own forms of storytelling. Questlove is an iconic drummer, DJ, producer, culinary entrepreneur, New York Times best-selling author, and, as a member of The Roots, the unmistakable heartbeat of Philadelphia’s most influential hip-hop group. He is the Musical Director for The Tonight Show Starring Jimmy Fallon, where his Roots crew serves as house band. Beyond that, this five-time Grammy Award®-winning musician's indisputable reputation has landed him musical directing positions with everyone from D'Angelo and Eminem to Jay-Z. Join Questlove in conversation for a celebration of his boundless and eclectic career. Sarah Silverman is a force in stand-up comedy, but this two-time Emmy Award® winner works across a variety of mediums and has cemented herself as one of the most versatile talents working today. Silverman’s many credits include the Emmy®-nominated Hulu talk series I Love You, America and the acclaimed films I Smile Back and Battle of the Sexes. She has lent her voice to the Emmy Award®-winning animated series Bob’s Burgers and the Wreck it Ralph films, and received widespread praise for her 2017 Netflix stand-up special A Speck of Dust. Silverman will be joined in conversation by fellow comedian, actor, and filmmaker Mike Birbiglia, best known for his indie breakout films Sleepwalk with Me and Don’t Think Twice - for which he was the writer, director and star - as well as his guest role as Oscar Langstraat on the hit series Billions, and his celebrated solo Broadway play The New One. Silverman and Birbiglia share a unique gift for transforming the deeply personal into the universal and will come together to discuss their creative processes as comedians, storytellers and performers. Michael J. Fox is an acclaimed television and film actor known for his iconic work on the sitcom Family Ties and the classic film trilogy Back to the Future. At 29, he was diagnosed with Parkinson's disease, news the actor and icon shared publicly in 1998. In 2000, he established The Michael J. Fox Foundation for Parkinson's Research to advance scientific progress toward a cure. In addition to his Parkinson’s advocacy, Fox is a NY Times bestselling author and his acting continues to earn him widespread recognition, including a Grammy®, four Golden Globes®, two SAG® awards and five Emmy Awards®, including a win for his guest appearance on Rescue Me, the critically acclaimed show created by and starring his longtime friend and fellow hockey lover, Denis Leary. Join these two spirited entertainers and friends for an illuminating and lighthearted conversation that will cover the breadth of Fox’s remarkable career. Versatile actor, director, screenwriter, producer, and Harvard graduate Rashida Jones will be in conversation to discuss an illustrious and accomplished career that spans across a variety of mediums. She co-wrote and starred in the indie breakout film Celeste and Jesse Forever, and received widespread acclaim for her sophomore directorial effort Quincy—an intimate portrait of her father and music legend Quincy Jones. She is theexecutive producer of the TNT hit-series Claws and currently stars on the TBS series Angie Tribeca. Tribeca Talks: Master Classes feature in-depth conversations focusing on a specific sector of the filmmaking process. Following the world premiere screening of Making Waves: The Art of Cinematic Sound, three of the industry’s most legendary and decorated sound designers will come together in conversation to discuss the art and craft of sound design. Oscar winner Walter Murch created indelible soundscapes on such films as The Conversation, The Godfather and The English Patient, winning three Academy Awards® including for his work on Apocalypse Now, where he coined the term “sound designer.” Ben Burtt transported audiences to a galaxy far, far away, winning Academy Awards® for his masterful sound work on such films as Star Wars, Raiders of the Lost Ark, E.T. The Extra-Terrestrial, and Indiana Jones and the Last Crusade. Gary Rydstrom created visionary sound designs on such iconic films as Jurassic Park, Toy Story, Titanic, and Saving Private Ryan, and has won a total of seven Academy Awards® and two Career Achievement Awards. Join these illustrious sound designers as they speak to their creative process and illuminate how their work has evolved the craft of sound on film. Moderated by the Director of the Dolby® Institute Glenn Kiser. With a career spanning over 50 years, Academy Award®-winning producer and director Irwin Winkler is one of the most prolific and decorated producers working in the industry today. His incalculable contributions to cinema include his work on such films as Rocky, Raging Bull, The Right Stuff, Goodfellas, The Wolf of Wall Street, Creed, Silence, and the upcoming film, The Irishman. He has received numerous honors, including the Commandeur des Arts et Lettres and the 2017 Producers Guild of America’s David O. Selznick Achievement Award. For this master class discussion, Winkler will walk audiences through his process of getting a movie made, what it really means to be a great producer, and illuminate the innumerable ways in which producing is integral to the filmmaking process. Source material for Television series has changed over the past decade. As the media landscape continues to shift, the model of stories that are created solely from original concepts or adapted from literature has become more and more open to interpretation. Now, we see networks like HBO finding unique and diverse voices from the ever-expanding sphere of media. Web series and podcasts have become increasingly exciting areas from which to build a fleshed-out series. Join HBO talent who hail from the digital storytelling space as they discuss the process of transitioning their series to the small screen. Following the talk will be the debut of The Queen Collective short documentaries. The Queen Collective is a program developed in partnership with Procter & Gamble and Queen Latifah with Flavor Unit Entertainment, aimed at accelerating gender and racial equality behind the camera. Created by diverse young women – these short films inspire positive social change and embody Procter and Gamble’s commitment to supporting gender and racial equity, on-screen and behind the scenes. If There Is Light - Directed by Haley Elizabeth Anderson. (USA) - World Premiere, Short Documentary. Fourteen-year-old Janiyah Blackmon wrestles with her new life in New York City as her mom tries to move her family out of the shelter system and into a stable home. With Janiyah Blackmon, McKayla Blackmon, Jakena Blackmon. World-renowned auteur game creator Hideo Kojima, widely considered the father of the stealth genre, has been hard at work on the highly anticipated PlayStation®4 title Death Stranding. Little is known about this mysterious new project, and speculation from fans and industry alike have created a deafening excitement. To discuss his boundary-pushing new game, Hideo Kojima will be joined by the star of Death Stranding, Norman Reedus, best known for his star-turning performances in The Boondock Saints and the acclaimed series The Walking Dead. Together, they will discuss pushing the boundaries of the video game medium and talk about how their relationship has established over working on the title together. This exclusive conversation will be moderated by game journalist Geoff Keighley, whose work and creation of The Game Awards has furthered the appreciation and understanding of the video game industry. Death Stranding is a trademark of Sony Interactive Entertainment LLC. Created and developed by Kojima Productions. “PlayStation” is a registered trademark of Sony Interactive Entertainment Inc.
A Tribeca tradition, Movies Plus offers audiences the unique opportunity to continue the experience of a film through buzzworthy conversations or performances after each special screening. It Takes a Lunatic, directed and produced by Billy Lyons. (USA, UK, Germany) - World Premiere, Feature Documentary. A tribute to the life and legacy of influential acting teacher Wynn Handman, whose American Place Theater helped launched the off Broadway scene, as well as the careers of students from Richard Gere and Michael Douglas to Sam Shepard. With Michael Douglas, Richard Gere, Susan Lucci, Eric Bogosian, John Leguizamo, Woodie King, Jr.
After the Premiere Screening: A conversation with acting teacher, artistic director and film subject Wynn Handman, actors Robert De Niro and Michael Douglas, and director Billy Lyons. Luce directed by Julius Onah, written by JC Lee, Julius Onah. Produced by John Baker, Julius Onah, Andrew Yang. (USA) - New York Premiere. After writing an inflammatory essay, a high school overachiever finds himself on a collision course with his adoptive parents and an overbearing teacher. A complex drama boasting an amazing ensemble cast, Luce sears the screen. With Naomi Watts, Octavia Spencer, Kelvin Harrison Jr., Tim Roth, Norbert Leo Butz, Andrea Bang and Marsha Stephanie Blake. A NEON and Topic release. After the Premiere Screening: Join us in honoring the virtuosic ensemble cast of Luce with an empowering conversation led by Naomi Watts, Kelvin Harrison Jr, Andrea Bang, Marsha Stephanie Blake, and director Julius Onah, discussing their expansive careers and the indelible roles that led each cast member to Luce. Meeting Gorbachev, directed and written by Werner Herzog, André Singer. Produced by Lucki Stipetic, Svetlana Palmer. (UK, USA) – New York Premiere, Feature Documentary. Profiling one of the most influential figures of 20th-century history, legendary filmmaker Werner Herzog candidly sits down with Mikhail Gorbachev for a revealing look at the life and legacy of the final leader of the Soviet Union. An Orchard release. After the Premiere Screening: Director Werner Herzog will be in conversation with his frequent collaborator and Professor of Classical Studies at Boston University Herb Golder. Waldo On Weed, directed and written by Tommy Avallone. Produced by Lee Leshen, Derrick Kunzer, Raymond Esposito, Josh Bender. (USA) - World Premiere, Feature Documentary. When Brian and Danielle Dwyer’s son, Waldo, is diagnosed with cancer, they proceed with a controversial—and illegal—treatment plan consisting of one of the most divisive substances in our country: cannabis. With Waldo James Mysterious Dwyer, Brian Dwyer, Danielle Dwyer, Matt Rize, Mike Wert, Larry Anderson, Senator Daylin Leach, Senator Mike Folmer, Dr. Staci Gruber, Dr. Charles Pollack. After the Premiere Screening: a conversation with medical marijuana expert Doctor Junella Chin, patient Lily Derwin, subject Danielle Dwyer, and Senator Daylin Leach. Moderated by actor, comedian and author Whoopi Goldberg. The Wrong Man directed by Ross Golan, John Hwan. Produced by Jaren Shelton, Ross Golan and John Hwang. (USA) - World Premiere, Feature Documentary. From multi-platinum songwriter Ross Golan, The Wrong Man is an animated concept film that uses Golan’s poetic lyrics and haunting melodies to tell a tragic story of love gone terribly wrong. After the Screening: A conversation with director and acclaimed songwriter Ross Golan, CEO of Lava Records and co-founder of The Innocence Project Jason Flom and more. The Hudson Pass, an all-access pass to screenings and talks taking place at BMCC, Regal Battery Park Stadium, Village East Cinema, and SVA theaters as well as full access to all events at the Festival Hub at Spring Studios, which includes VR and Immersive projects, Movies Plus screenings and access to festival lounges. The Hudson pass can be purchased online at tribecafilm.com/festival/tickets, or by telephone at (646) 502-5296 or toll-free at (866) 941-FEST (3378). Single tickets cost $24.00 for evening and weekend screenings, $12.00 for weekday matinee screenings, $30.00 for Tribeca TV and Movies Plus $40.00 for Tribeca Talks panels and $40.00 for Tribeca Immersive. Single ticket sales begin Tuesday, March 26 and can be purchased online through our film guide or through the call center. Tickets for events at the Beacon Theatre are available for purchase online starting today, March 19. You can find information here. As Presenting Sponsor of the Tribeca Film Festival, AT&T is committed to supporting the Festival and the art of filmmaking through access and innovation, while expanding opportunities to diverse creators around the globe. AT&T helps millions connect to their passions – no matter where they are. This year, AT&T and Tribeca will once again collaborate to give the world access to stories from underrepresented filmmakers that deserve to be seen. “AT&T Presents Untold Stories” is an inclusive film program in collaboration with Tribeca - a multi-year, multi-tier alliance between AT&T and Tribeca along with the year-round nonprofit Tribeca Film Institute. 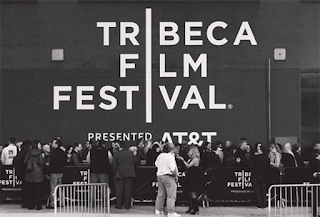 The Tribeca Film Festival is pleased to announce its 2019 Partners: 23andMe, Alfred P. Sloan Foundation, Bai Beverages, Bloomberg Philanthropies, Borough of Manhattan Community College (BMCC), BVLGARI, CHANEL, Diageo, ESPN, IMDb, Kia, Marriott Bonvoy Boundless™ Credit Card from Chase, Merck, Montefiore, National CineMedia (NCM), Nespresso, New York Magazine, NYC Mayor's Office of Media and Entertainment, Prime Video Direct, P&G, PwC, Spring Studios New York, Squarespace, and Status Sparkling Wine.